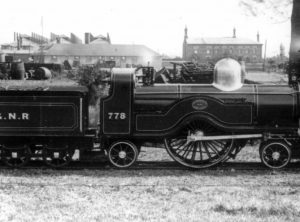 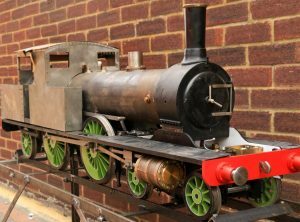 A scale miniature of the most elegant and attractive of Victorian locomotives – the famous ‘8 Footer’ designed by Patrick Stirling in 1870 for the G.N.R. 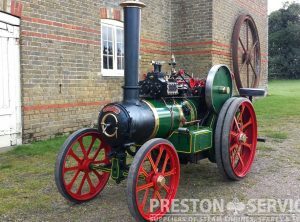 This particularly well made example is for sale in good condition with an attractive patina. 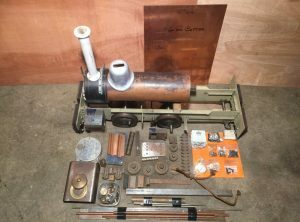 Project for completion, with professionally made copper boiler and including all drawings. 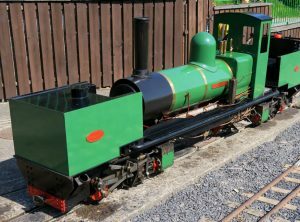 This handsome loco is unfinished but has been test run on air with lubricator working. 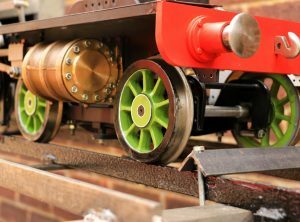 Machine work to a high standard, with remaining work to finish including cladding, plumbing and painting. 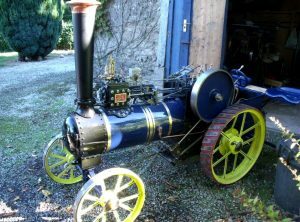 A six inch scale miniature of a Savage of Kings Lynn “Little Samson” steam tractor. 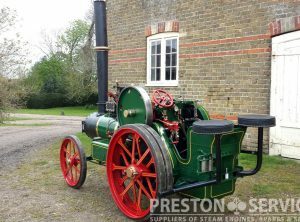 Built 2016 to very high standard with professional boiler, fully certified. 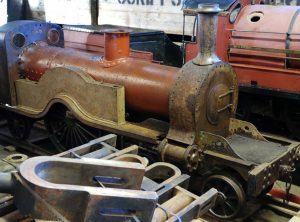 For sale ready for use. 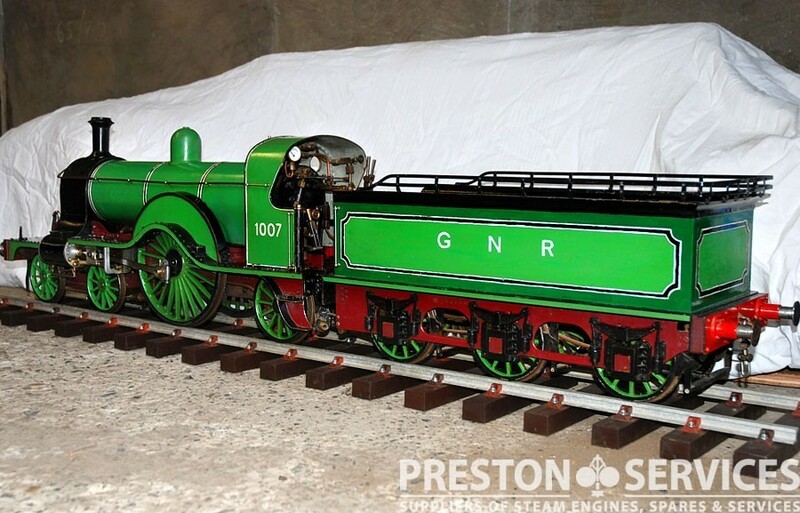 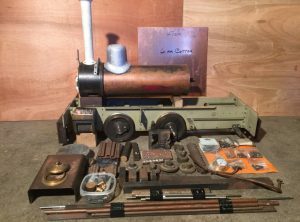 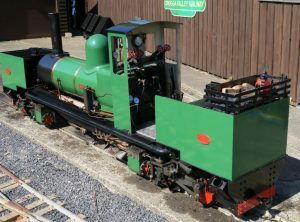 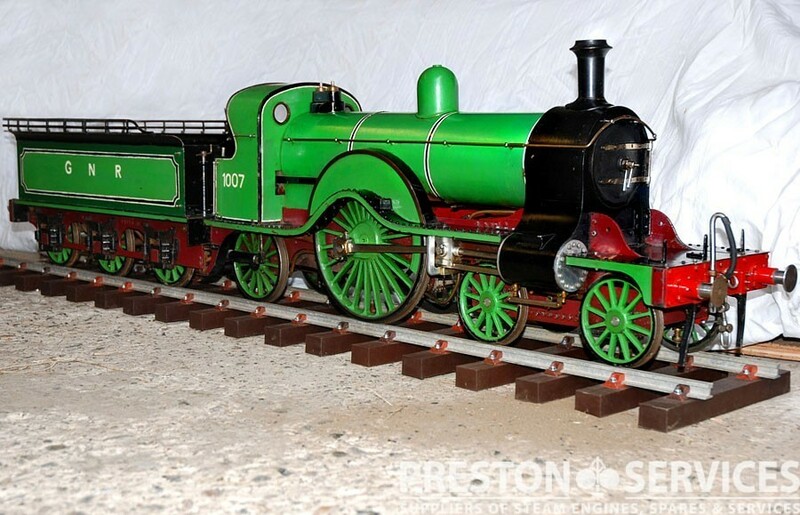 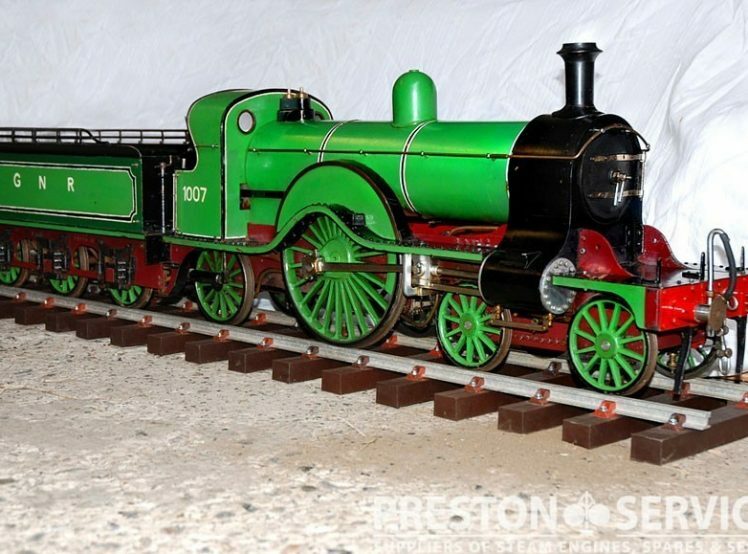 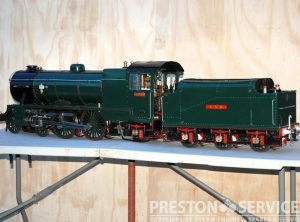 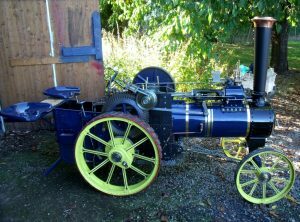 This high quality miniature loco is GNR inspired, of Henry Greenly design, and constructed in the authentic 1930’s manner with fully rivetted copper boiler, a well detailed footplate and later tender. 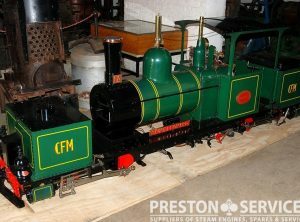 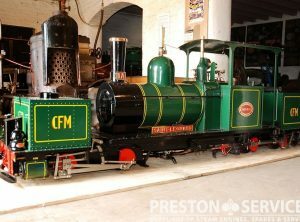 This very unusual and special miniature loco is a 1/3rd scale (4 Inch to the Foot scale) miniature of the first, and smallest Garratt K1 articulated narrow gauge loco built for a 2 Ft gauge Railway in the Belgian Congo in Africa (Chemin de Fer du Mayumba). 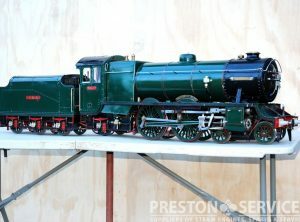 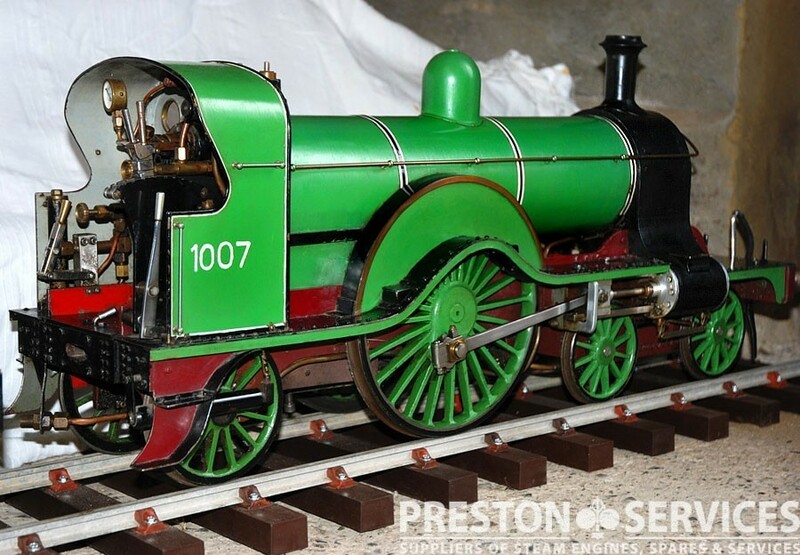 Apparently very well made, with a pofessional boiler and for sale with current certification.